Titans quarterback Marcus Mariota is either the luckiest football player in the world or a super genius. No wait - he's something else. Maybe he's a Jedi. 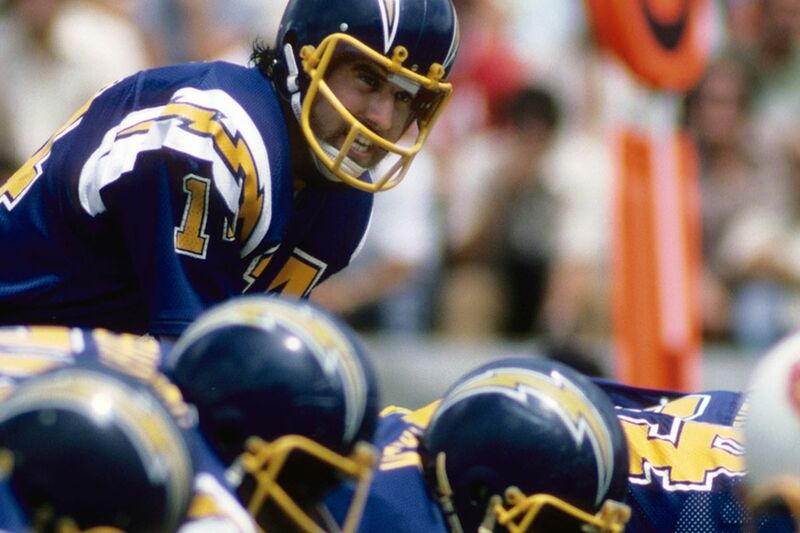 Anyone who wears a visor like that might just have Vader-like qualities. 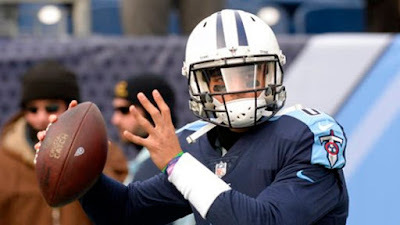 With the Titans third and goal against the Chiefs last week, Mariota spied a gap and threw the ball toward the endzone, in what should have resulted in a dead play. But no, some manner of hocus pocus intervened. The misfired pass was batted back toward Mariota by a Chiefs defender and, as ones does, he caught his own deflection before diving toward the corner for a touchdown. What manner of gadgetry is this? Stuff like this only ever happens on the Nintendo field and even then it's usually via a slip of a Dorito-greased thumb. Mariota said after the game that it was just the 'right place, right time,' but I think we know better. All year long this guy's has been borderline mediocre, fooling fans and gamblers alike with his size and athleticism. One minute he's on, the next it's moon pies back in the cupboard kids. There's just no trusting this squad. Well, the knives - or swords - are out folks. The Titans are scary. As their sinking ship was set to turn over on its side, Mariota rallied them back and then, finally, somehow, willed a 22-yard strike to Eric Decker with six minutes left to seal victory. It was so improbable that one can only conclude Mariota has indeed been playing possum, simply biding his time to learn the ways of his footballing force. The guy might be the next coming of Steve Young for all we know. He'll have to be - the odds makers have his team at 40-1 to win it all. Jets quarterback Christian Hackenberg just whizzed another pass by his receivers and across the bow of a few journalists. After taming their quiffs, they took some notes and this actually made news last week. The 24-hour media cycle spins on gang, where loose balls are ideal fodder for loose lips. The problem is such reporting tends to unfairly sink ships before the season has already launched. Some would argue the Jets were already in Titanic mode, heaping water from the decks while the violins play. That may be, but can we at least wait until August before screaming 'Rose'? It's so early for this sort of conjecture, even by internet standards. Besides, has it ever occurred to anyone that maybe Hackenberg wants to hit reporters with a football? I used to be a reporter and sometimes I want to hit reporters with footballs. Heck, if you gave me a football right now I'd probably toss it at the wall just to rebound it back at myself! Think about it: You're trying to learn your team, its offense -- just hoping to feel comfortable out there -- and some schmo in khakis and sipping on a V8 is looking for any opportunity to say you're a bust. His pen is eagerly poised against his pad, ready to scribble down any single miscue. Anything. Shoelace untied? Forget about it. Jockstrap on backward? You're gone. Wouldn't you be throwing a a few spirals his way?! Even if they were errant throws at an OTA, they were probably sideline lobs that just happened to miss the hands, in which case they'd have landed near reporters who probably shouldn't have been standing so close, anyway. 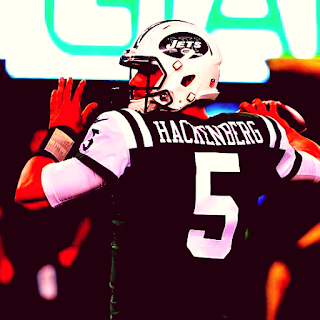 That Hackenberg HIT reporters, as just about every web publication has gleefully reported, is kind of like reporting 'Hackenburg hits his head on the inside of his helmet'. (Please don't copy and paste that last line in your Twitter feed. Fake news is funny and all, but it's also not). It's just so unnecessary and well, boring! I mean it's not like the kid has seen enough on-field time to suggest he'd never heave a few toward the Gatorade tank. Oh, and just in case you wanted to cement your negative views of Hack, SportsCenter tells us he's the 40th ranked quarterback in fantasy football -- because those rankings usually relate so closely to reality. Maybe we should all just eat a fortune cookie every morning before making a decision on breakfast. Thanks to Rich Camini of ESPN, for at least waiting until mini-camp before laying in the boot. Thanks to Broadway Joe for always having some optimism. Thanks to Frank Deford for being a legend. Thanks to the Kardashians for reading. Despite some in the media doubting that Peyton Manning, 39, has much left in the tank for the upcoming Super Bowl, he still has his wonderful height and continues to boast a neat haircut. Should he walk away from the fiftieth iteration of this grand football occasion with only a stiff-brimmed runners-up hat, rest assured he'll wear it proudly - and highly. Let's not count the Sheriff out altogether, okay. He may look more like Doc Holliday than Wyatt Earp at this stage of his career, but there's one last stand in him. I know it. Manning completed 17 of his 32 passes for 176 yards in the AFC Championship Game, in a steady if not impressive performance, and that's all Broncos fans need. Certainly the ball didn't always spin along a tight line, but it reached its intended target when most needed, right? That's really all that counts in games of such magnitude. While, some commentators are hellbent on telling us that wounded duck throws are catastrophic, we now know this isn't always true. We also know that some commentators are hellbent on hyperbole. 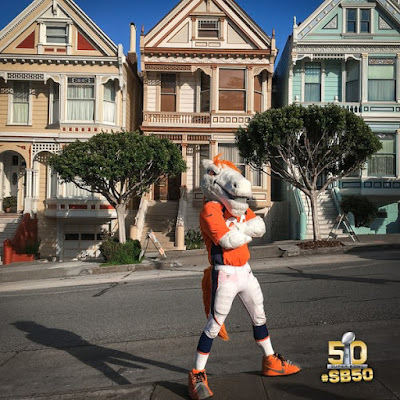 Steadiness is all the Broncos require on the offensive side. And Manning can be an oak for just one more game. Let Cam Newton chase the wind. That's his game. In truth, he'll need multiple plays to square the Broncos defence away. One play. Two plays. OMAHA! OMAHA! The talking heads also like to say that a game can be decided by one play, and if this is indeed the case, then Manning is also still capable of making that single pass - maybe even twice. Two good passes are not out of the realm of possibility here, especially when you're lifting less than the guy at the snack bar all afternoon. 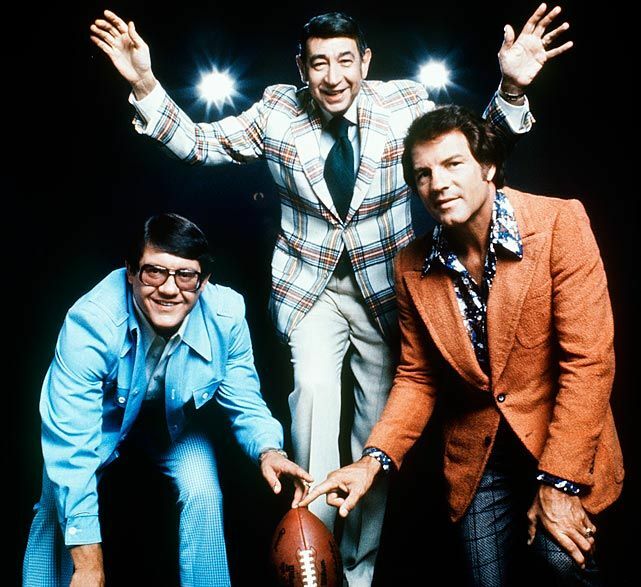 In the very first Super Bowl, played in California as well, Green Bay Packers quarterback Bart Starr tossed 16 of 23 passes for 250 yards, and two touchdowns. He had one interception but the Packers thumped the Chiefs 35-10. Of course, it was a different era, and the Carolina Panthers might be slightly more menacing on defence than the 1967 Chiefs. But I can see Peyton posting similar numbers, and out-thinking the Panthers the way Starr did Kansas City. Yes, his preference for shorter passes will likely mean fewer yards, first downs, and ultimately a lower scoring output for Denver. However, those numbers might also be just enough to win him the game's MVP prize, and ensure that he leaves just enough in the arm to lift the Lombardi Trophy.